Save AED 15 (33.33%) – Earn 3 Shukrans What is Shukran? Shukran is the Landmark Group’s award-winning loyalty programme in the Middle East, which allows you to earn Shukrans when you shop any of our brands. 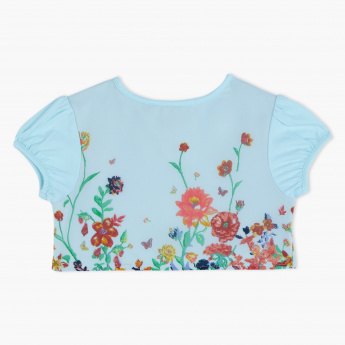 Stylise your baby's attire with the addition of this lovely bolero with a charming floral print. The soft and comfy piece is perfect to team with a top, tunic or a dress and pep it up with flair.